Welcome Sherwood HYBRID Auto Repair. We have been repairing Hybrid cars in the Portland area for nearly three years. From an oil change to a new Hybrid battery replacement, trans-axle or full rebuild, trust our trained Portland hybrid car repair professionals to take care of it for you. 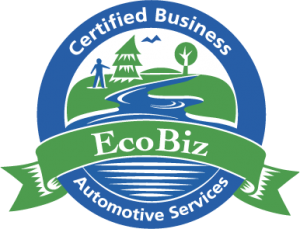 Sherwood Auto Repair is committed to helping protect our environment. And that means not only recycling all oils and fluids, but also taking care of your hybrid. Our technicians are specifically trained to care for your Toyota Prius, Honda Civic, Ford, Mercury or any other hybrid vehicle. Because of our exceptional hybrid training, we perform required tune-ups and auto maintenance — such as oil filter changes, brake checks — for hybrid vehicles even under warranty. Sherwood Auto Repair technicians are also trained to diagnose and repair mechanical problems, but not under warranty. If your hybrid cars needs repair and is still under warranty, it’s best to take it to the dealership. All of our hybrid services meet manufacturers’ recommendations. Check your owner’s manual for your vehicles specific automotive maintenance needs and call Sherwood Auto Repair for an appointment. We look forward to adding you to our long list of loyal, satisfied customers. Please take a minute and see what some of them are saying about us online. We have a personal approach to customer service and we guarantee our work.